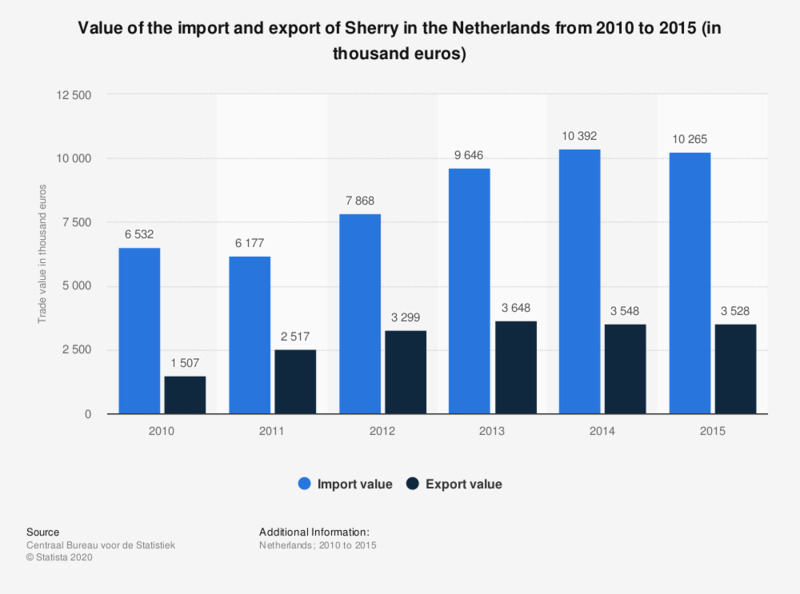 This statistic displays the value of the import and export of Sherry wine to and from the Netherlands from 2010 to 2015 (in thousand euros). It shows that in 2015, with a value of approximately 10 million euros, the import value of Sherry was higher than the export value. This category includes only the Sherry wine produced under the protected designation of origin (PDO) or protected geographical indication (PGI) laws in packages containing less than two liters and an alcohol percentage between 15 and 22 percent.